Today we dedicate the entire show to all the news and announcements from this years IBC. IBC is one of the biggest trade shows for video production, and our panel of experts cover all the news and announcements that will certainly shake up our industry. 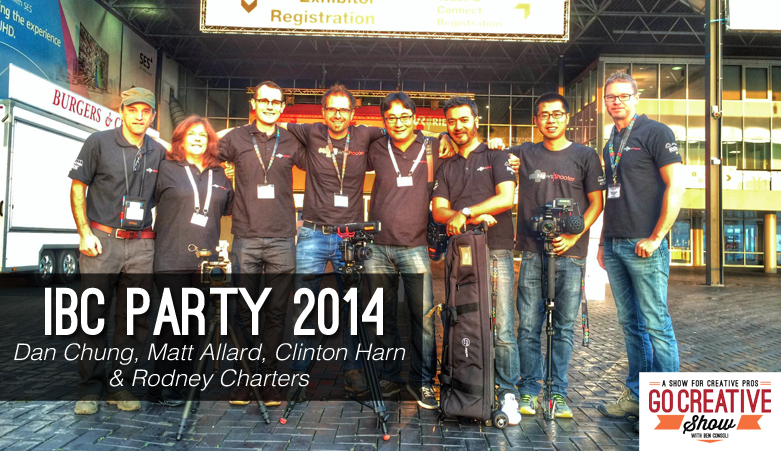 Dan Chung and Matt Allard from NewsShooter.com, film maker Clinton Harn and cinematographer Rodney Charters join me for an epic discussion about the Arri Alexa 65, Sony FS7, lots of lenses, lights and more. Plus the 4K debate lives on! IOS 8 New Features. Lynda is always ready with tutorials for all the new operating systems on day 1 of release.